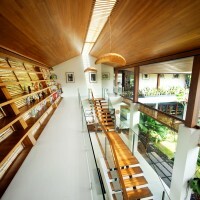 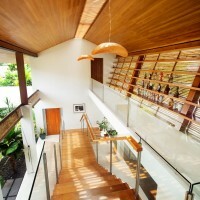 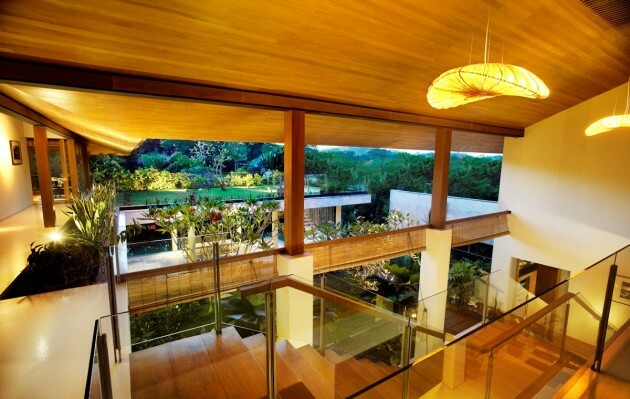 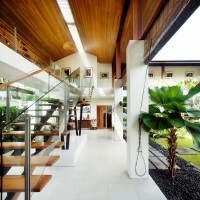 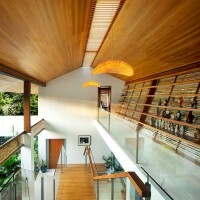 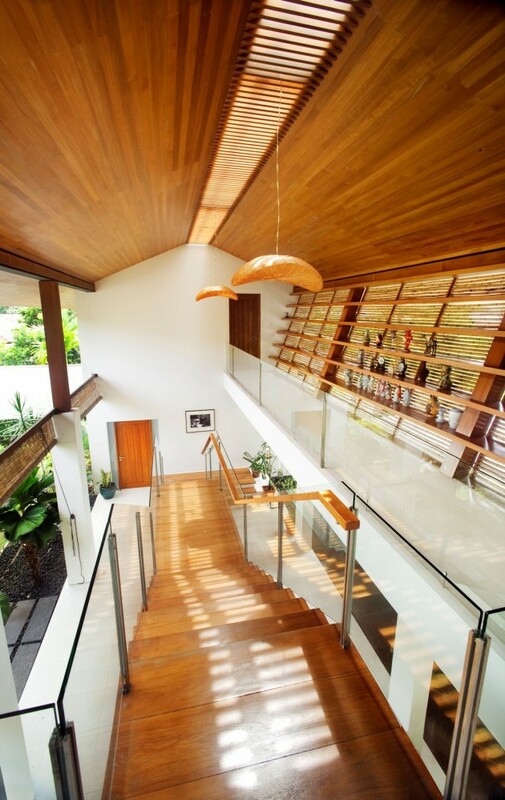 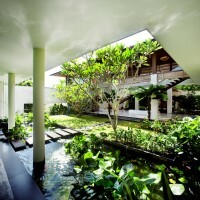 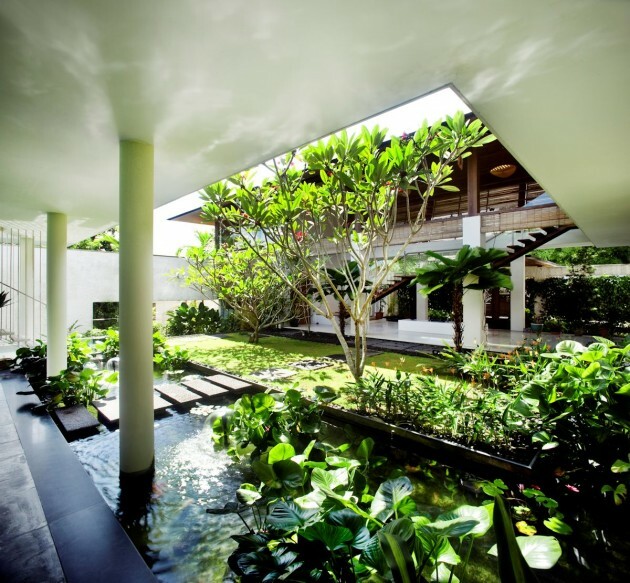 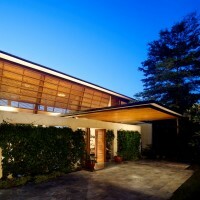 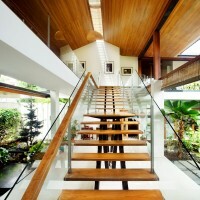 Singapore-based Guz Architects have sent us photos of the Rattan House they have designed. 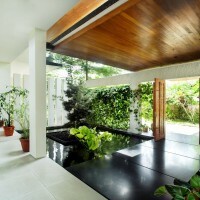 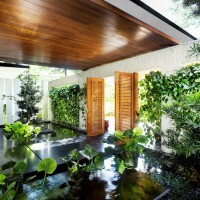 The rattan house was conceived to make the most of what is a relatively condensed site in Singapore’s “good class bungalow” district; with buildings all around and little breeze. 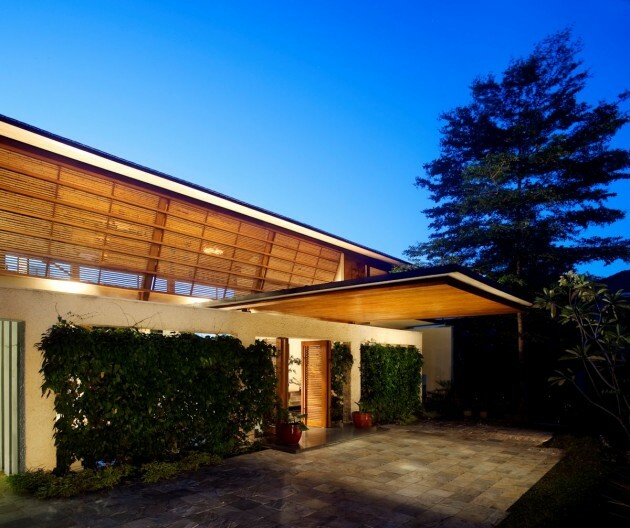 The L-shaped plan was designed to make the most of the views and funnel the breezes throughout the house. 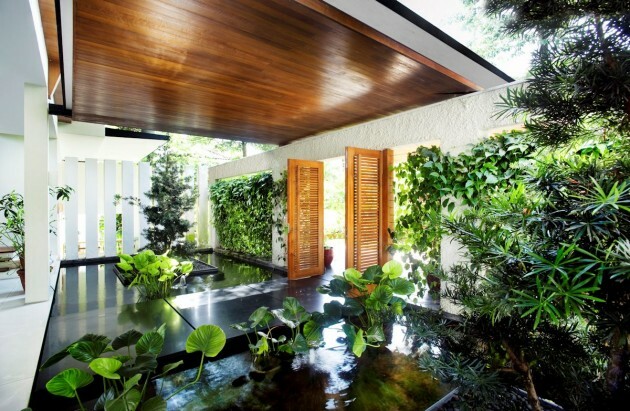 Within this we tried to create gardens and green areas to not only passively cool the house, but also to provide greenery and a sense of space which all occupants could share. 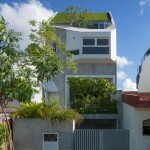 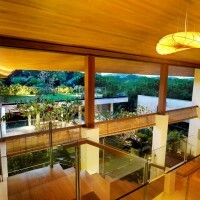 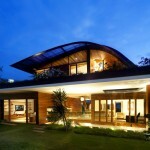 The house was completed on a very low budget (for Singapore) of less than S$1m. 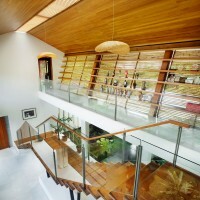 Rattan screens were used along the main entrance hall of the house to provide privacy, yet still allow the air to flow through.